The anti-Trump candidacies of Teachout, Jayapal, and Flores should serve as a reminder that, as important as the presidency is, the White House is not the only thing at stake in 2016. Hillary Clinton’s bid to become the first woman president has gotten far more attention in the media, but there are hundreds of female candidates running for office in 2016. And although Senator Bernie Sanders (I-VT) is rightly credited for calling attention to the fundamental unfairness of our rigged economic and political systems, inspiring women such as Zephyr Teachout, Pramila Jayapal, and Lucy Flores are carrying the mantle of progressive populism in congressional races across the country. Notably, Sanders has endorsed and raised funds for all three women in their upcoming primaries, recognizing them as important allies in the battle to create progressive change. 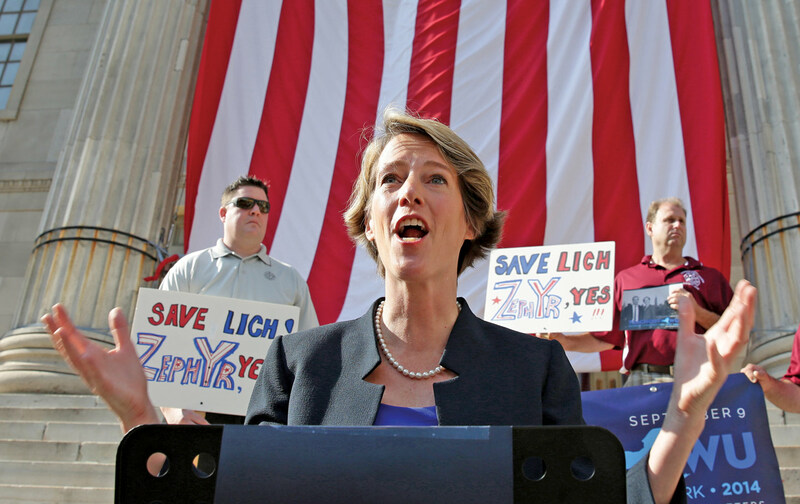 Teachout, who is seeking an open House seat in New York’s Hudson Valley, shares a similar background to another progressive champion, Senator Elizabeth Warren (D-MA). Like Warren, Teachout was a respected academic and progressive activist long before she entered politics. A law professor at Fordham University, Teachout is a widely recognized authority on political corruption and antitrust issues who gained visibility as a digital strategist for Howard Dean’s presidential campaign in 2004. She is also a longtime advocate of publicly financed elections, and her scholarly work was cited in former justice John Paul Stevens’s dissent to the Supreme Court’s ruling in Citizens United.